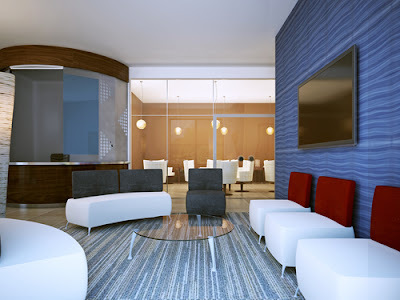 Your office is the heart of your company/organization. With that in mind, it is very important to ensure that your office is always neat and presentable. Customers and investors cannot waste even a fraction of their time on a company that has a disorganized office. With that being said, it is very important to ensure that your office carpet is well cleaned at all times. This is because carpets are prone to dust and other harmful bacteria that can cause problems to your health. These harmful bacteria can cause allergens and other respiratory diseases that can make you feel uncomfortable in the office. 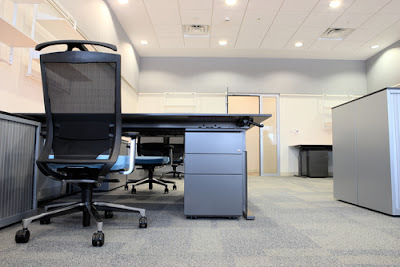 There is no other solution for that other than cleaning your office carpets regularly. Carpet cleaning is not all about washing and rinsing your carpets. It needs to be handled professionally so as to avoid wearing it down. This cannot be handled without the aid of a professional carpet cleaner. A professional carpet cleaner will be able to wash your office carpet by using the right chemicals and techniques to bring the best out of your carpet. In this article, I'm going to emphasize on the importance of cleaning your office carpet, and some of the main tips on finding the ideal carpet cleaning professionals to work on your office carpets. One of the common ways of cleaning your office carpet is by means of dipping it into a Fahrenheit (200 degrees) hot water. Carpet cleaning companies opt for this option mainly because it is not harmful to you and your co-workers, plus it is environmentally friendly as compared to some of the commercial bleach and detergent in the market. It is very important for you to choose the best carpet cleaning company that will be able to handle your carpet professionally and get your money’s worth. Before hiring any carpet cleaning company, here are some important tips you need to consider when choosing one. One thing that you need to know is that different carpet cleaning companies do not work the same. Different companies offer different levels of services depending on where you are located in Singapore. So before hiring a professional to clean for you, make sure to do your small research about the company. Read some reviews about the company to ensure that it is fully certified and authorized to meet the set of carpet cleaning standards. Have a look at their website, verify their profile and check if they have verifiable contact numbers and physical address. This will help you direct your complaint or inquiry without much of a struggle. 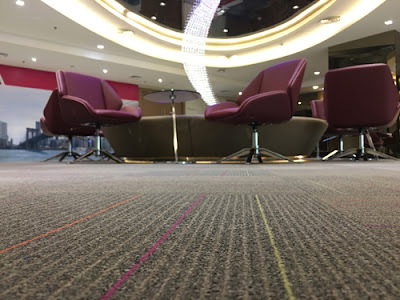 When they come to clean your office carpet, it is recommended to ask them for their government certifications like sanitary permit, tax remittance proof or their business permits just for clarification. When it comes to pricing, most of us like going for cheaper companies that claim to offer quality cleaning services, but in reality that's not the case. If you want quality service for your carpet, its good to avoid going for a company that offers cheap services. This is because there’s a high possibility that it will not reach your expecting results. Extremely low pricing services will mostly lead to shoddy work. This doesn't mean that expensive companies offer the best services. In fact, some of them charge a higher fee, but their services are poor. Choose a company that has a good reputation, is pocket friendly, but still uses top-quality services and equipments. Only a professional carpet cleaner knows the importance of using the right amount of deodorizers and sanitizers on your office carpet. This is done after the cleaning process in order to increase your carpet’s level of hygiene and on top of that will leave your carpet smelling good and fresh. A low quality company will likely perform low quality service and will leave your carpet with a bad smell. It is also very important to make sure to ask them these following questions before hiring the cleaning company. What’s the method used for cleaning the carpet? - Are the workers properly trained and equipped for carpets clean-up purposes? - What tools and equipment are they using? - Is there any type of agreement offered by the cleaning company? Before hiring any company, always ensure to ask what kind of services they'll offer to your office carpet. This is because most companies do not charge the same price they advertised with. The price is likely to go up and will cost you more due to their extra services. As a customer, you need to know what the extra costs might be and how they charge. As you call them, ensure to ask what is included in that quoted price and why. Are they going to move furniture for you? Which areas are they going to clean? Do they charge an extra fee for cleaning the floor and stairs etc. If you feel like the company charges a lot for their services or they they do not offer the quality of service you are looking for, then consider hiring a better one. Do not by any chance allow a company that doesn't offer what you're looking for to work for you. Always go for a reliable company that offers realistic and good services. Once you have chosen the best professional cleaners, it is also important to reach out to their manager so as to discuss your expectations and have a clear understanding of their service. This will also help to build trust and you will be more assured that you will receive good service that will be worth your money.